BUFFALO, N.Y. (WKBW) — Recreational marijuana legalization is anticipated to become legal soon in New York. It will create a large task for police agencies, but more than the headache of re-training officers, it will be expensive for agency’s K-9 units. To purchase an untrained dog, it is $7,000…the narcotics training can run anywhere between $12-15,000…and the collateral costs that come with the handler training brings the total to near $30,000. But, when healthy, these dogs can work up to 10 years. If marijuana is legalized, trainers say you can’t uncondition an animal to a scent they’ve been trained to detect from the beginning of its training. 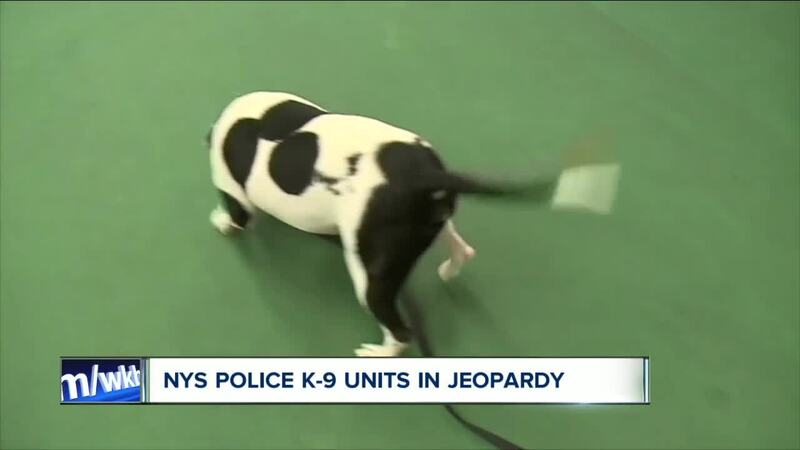 But, K-9 units in New York state might have some time to figure out how to come up with the millions of dollars spent on narcotics dogs, so far. Right now, Massachusetts is the only state where legislation has passed making it illegal to use detection by previously trained K-9s as probable cause to search. No other states require re-training, by law, yet. We also spoke with border patrol agents in Buffalo. Fines start st $500 and charges could be filed depending on the amount.